Husband and wife team Jane and Jago Hurt moved to The John O’Gaunt at the start of 2014 after 13 successful years at The Hare and Hounds, Old Warden. At The Hare and Hounds they won the Good Pub Guide’s “Best Dining Pub in Bedfordshire” award four times and featured in The Michelin Good Food Guide – entry to these two highly regarded publications is only gained via public recommendation. They have built a superb reputation for friendly service and excellent food. 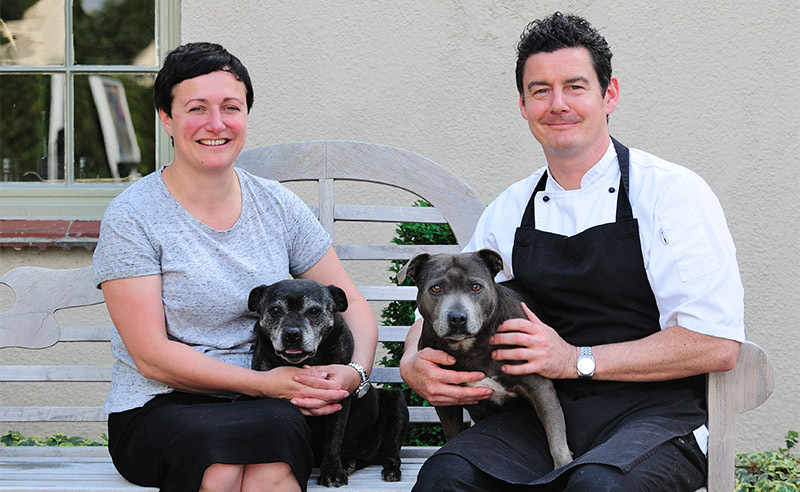 Head Chef Jago has a wealth of experience gained in hotels and pubs around the country and the Scilly Isles and both he and Jane have a clear vision of what a country pub should be like. They want to be the local pub with a friendly atmosphere and good food that supports its local community. This long standing dedication to quality, locally sourced ingredients has brought people from far and wide on a regular basis for many years. With Jago taking care of the kitchen, Jane works front of house. She has created a welcoming, relaxed atmosphere with open fires in the winter and a large garden for the summer. Her staff have been trained to give quality, professional and conscientious service, staff who go the extra mile to make the customer feel welcome.